Get physical – Sit in it (or on it). Feel the materials. There should be ample sized room. Examine the finish – If the finish is translucent, it should be even and the grain should show through, if it’s an opaque finish, the consistency should be even. Wicker and rattan pieces should be smooth without splinters or ends sticking out and weaves should be tight and uniformed. Check the cushions – Neat, well-defined corners or curves with secure attached details and buttons are the hallmarks of a quality cushion. Contour should be plump and well-shaped, as a squishy appearance indicates insufficient stuffing. Look beneath the surface – Lift the cushions or turn the piece over to analyse how it’s constructed. Look for loose screws, padding that is not sewn correctly, insufficient support and springs that are obviously c unprotected. Remember when you are looking at the raw part of furniture it won’t be perfect but you could get a clue of the amount of care that has been invested into putting it together at the very least. Scrutinize the details – Fine-quality furniture has less apparent welding, better sanding and finishing with mechanisms to conceal the hardware. Nuts, screws and bolts should be coloured to match the piece and be protected from rust. Study the styling – Excellent design really shows. There are many knockoff’s of successful designs so be alert with what you believe. Consider the conditions – Choose the piece based on where it will be placed and how it will be used. If the lounge you are buying will sit in front of a big window, think about how the fabric may fade and so choose one with less colour and pattern for example. Leather is a good investment – check its grade (an indicator of durability and price, top grain is taken from desirable outer surface of the hide), top-grain (based on the ways manufacturers prepare the leather), aniline (or ‘pure’ or ‘full’ aniline which is leather soaked in aniline dye), pigmented leathers (fully treated with surface colour, that’s made from lesser-grade hides but stiffer than anilines), finish (are there marks on the hide), texture (highest quality hides become the softest and most supple) and nubucks. Check out some great stores for Furniture Shopping in Perth below. Concept Living has been importing and retailing for the past 20 years. They import direct from factories so there is no middleman, passing savings onto the customer. They have a strict quality control process and all products are checked at various stages of production right through to loading in the container. From humble beginnings at a stall in Sydney’s Parklea Markets over 25 years ago, Fantastic Furniture has grown to become one of Australia’s largest bedding and furniture manufacturer and retailer. They have some incredible low prices no matter where you live in Australia. Cockburn, Osborne Park, Midland, Cannington, Rockingham, Joondalup and Mandurah. Western Australia’s largest locally owned furniture and bedding specialist that is also a family owned business. GoGo has a terrific range of designer furniture, in-stock and priced to ‘GOGO’. Harvey Norman stores are owned and operated by independent franchisees. 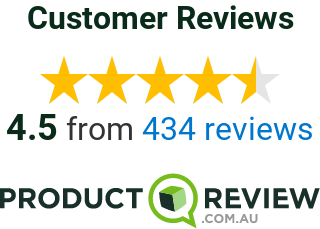 Harvey Norman Online has received many awards that reflect Harvey Norman’s commitment to quality, value and service in store and online. Impressions is a WA family owned business that began trading from small furniture showrooms in Wembley and Applecross in 1991 before expanding due to popular demaind to two outstanding ‘superstores’ with a combined showroom display area of over 60,000 square feet. Scandinavian chain selling ready-to-assemble furniture, plus housewares, in a warehouse-like space. Pine Discount is one of the best known furniture stores in Perth. They also have in excess of 14,000 square metres of warehousing to ensure that most products are immediately available. Super Amart has a wide range of furniture and bedding in styles to suit all budgets with low prices guaranteed.